This is the second part of the article about Windows Mobile programming tricks. The reason I created this article is that the following tricks either cannot be achieved using pure managed code or they are not easy to find out in the big twine of classes .NET CF provides. We found out in our company that these are some of the hurdles the developers often need to overcome and decided to share the how-to. If you have any ideas on how to extend this project or would like to share additional how-to you are welcome to contact me. The key method in this code is the PhoneInfo.Get(…) method. The source code for this method is quite long. You can find it in the archive in the beginning of this article or on the web site shown at the bottom of this article. This method is also responsible for retrieving the IMEI (International Mobile Equipment Identity) of the phone. IMEI (sometimes also called serial number – which is not correct, because serial number is just one part of IMEI) uniquely identifies each mobile phone. /// Retrieves information about the system's current available physical memory. 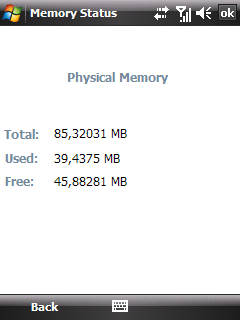 /// Retrieves information about the system's current usage of physical memory. 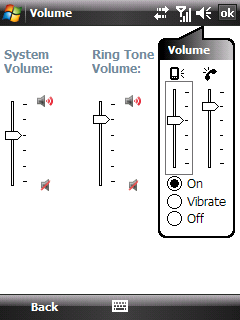 /// Specifies the volume levels. /// Allows you to change the volume on Windows Mobile. Performing a soft reset can be useful sometimes especially after making changes to the system which only show up after the reset. We can call this routine to perform the soft reset of the user’s device so that the changes take effect immediatelly. We should never ever forget though to ask the user first whether the agrees with the soft reset. Resetting the device without asking is considered very rude and can cause the loss of data for the user as well. /// Represents a functionality to reset the whole device.